I'm selling a different rosin now. 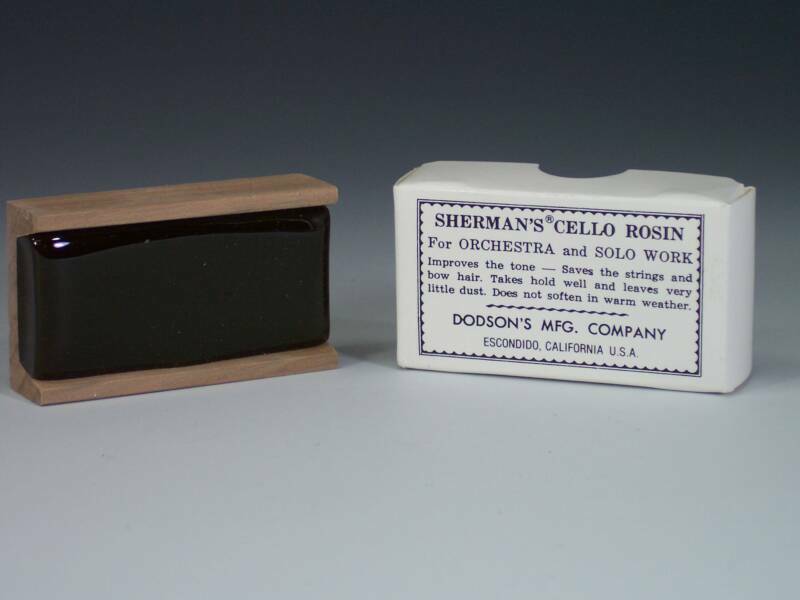 I think it is a much better alternative to the Sherman rosin. If you look on the left side of the handle, there is a hole drilled into that end. This is something brand new. If you have a Snark tuner, you can pop the tuner and arm out of the clip that it comes with. The hole is the proper size to accept the ball end of on the end of the little arm. All the tuning wrenches I sell now, come with that special feature. The T-wrench I supply with each psaltery I sell also comes with this. Look at the pictures below to see how this works. The instructional DVD, "How to Care for and Play the Bowed Psaltery with Rick Long" is available. If you bought a bowed psaltery and didn't receive much information as to caring for and how to properly play it, you will find the info on this DVD of great help. DVD is included with your purchase. The price is $25.00 and does include free first class postage for a limited time. Easiest way to purchase is send me an email to request a Paypal invoice for you to pay through. If you would prefer you can call me with your credit card number. If you would rather send a check or M.O. send an email and I'll send you my mailing address. Euro style bumper or window sticker. Show the world that you are a proud bowed psaltery player or Ringing Strings fan. You can put these wherever you want. They are vinyl, so waterproof, but they should be applied to a hard surface. 4 1/2" x 3" in size and they are oval. Black with white lettering. They are $4 each or two for seven, in any combination. Interested in a larger quantity, let me know how many for an extra discount. Postage is included. This is the tuner separated from the clip. It just pops out, but is very tight. There is a small slot to use a little screwdriver to help in popping it loose. Fits right in the hole in the wrench. The ball end still allows for the arm to swivel at the wrench. Don't twist it as you would screwing in a screw, just press it in while wiggling it slightly. Insert until the ball is below the edge of the hole. Doesn't need to go any deeper. Just tune normally. When you place the wrench on the pin, the vibration from the string will read on the tuner. Being on the end keeps it out of the way of your hand. Just swing it around so you can see it and tune. I now also sell the Snark SN-8 tuner, like you see used on the tuning wrench above. The tuner already comes with one battery. I include five more replacements. It is a good idea to keep spares in your case and replenish them as needed. These batteries usually cost around $3 each at a department store. I sell them for $1.50 each, when not buying a tuner.